As we continue on with Tax Week at Cutting for Business, we are going to look at a list of common tax deductions in your Silhouette or Cricut business. Catch up with other tax related posts here. Tax deductions are expenses that your business has encountered throughout the year. You use deductions to reduce the taxable income that your business has had throughout the year – thus allowing you to pay less in taxes at the end of the year. For some deductions, you take the entire value of the deduction at one time; while others you take a portion of the deduction over several years. For example, you may take a deduction of $40 for vinyl you recently purchased. However, since you will continue to use your machine throughout several years, your machine depreciates and you take smaller deductions over the useful life of your machine. …most things that you have purchased for use in your business can be taken as a tax deduction. Whew, that’s a lot of deductions! When taking deductions related to your Silhouette or Cricut business, the IRS will not ask for copies of each receipt. However, you are required to keep your receipts on file. Read on as I wrap up Tax Week with a checklist to help you get organized to file your small business taxes. I hadn’t thought of some of these! Great list, I can’t wait for tomorrow’s post! Awesome! Deductions are so important to offset the income in your small business. See you back here tomorrow! 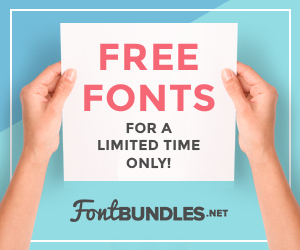 Don’t forget fonts that you’ve paid for! Thanks Lisa, I added them in! Thank you for doing these tax posts! It all gets a bit overwhelming since I’m starting out and have no idea what to do! My mother owns her own business, but it’s in the food industry, so she can only help so much!